The State Coaching Panel is responsible for the policy and direction of Coaching throughout the Association, subject to the approval of the Board. The Panel is also be responsible for the assessment of Coaches, the issuing of certificates, arrangement of Schools for potential Coaches, arranging for assessment and issuing of certificates to Coaches, the inspection of potential new Club’s facilities, and all other matters that may be relevant to Coaching for members of the Association. I started at Darlington Pony Club at the age of 15, successfully competing in dressage, eventing, tetrathlon and PPMG and gained by B certificate at 20. I started coaching a bit in Perth, then travelled to America and coached at a riding school during Summer and Spring, teaching both adults and juniors. 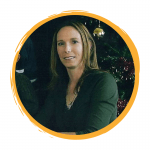 After deciding to focus more on my coaching, I returned to Perth and gained my Pony Club WA Level 1 in 2000, then moved to Karratha with worked and achieved my EA Level 1 in 2005, whilst also competing in EA eventing and dressage. I have coached at many clubs, including being a regular coach at Horsemens, Karratha & King Bay and Walliston Pony Clubs. I joined the State Coaching Panel in 2015 and have enjoyed the opportunity to help other riders and coaches achieve their goals. I treat my riders like my own kids and encourage them to work towards and complete their Efficiency Certificates. I am also a C*/K level examiner and assessor, as well as a mentor for Pony Club WA coaching trainees. During my coaching career, I have developed riders to complete efficiency certificates and compete in Pony Club and Open competition, specifically in Dressage and Eventing. Some of my riders have competed and State and National level and others are now starting their own coaching careers. I have been involved with Pony Club since 1990 at Riverside Park. I was initially involved in coaching then in 1997 became a committee member. During this time I have held the positions of Treasurer for two years, Chief Coach for a total 10 years, and Secretary for two years and general committee for the balance until a couple of years ago when I now enjoy coaching at the Club. Natalie Williamson(Holley) came from a very horsey background. Her grandfather was a light horseman and bred and worked award winning Shire horses on his family farm in South Australia. After moving to Western Australia he went on to breed, train and race Standardbreds in Perth. Her Mum now manages the property and still breeds and trains Standardbreds. I have been a member of Riverside Park Pony Club (RPPC) since I was 6 years old both as a rider, coach and Chief Coach. During my Pony Club years I have obtained my PC Level 1 Coaching Certificate and I was fortunate to be a member of the WA team for PCA National Championships in Dressage, Eventing and PPMG. Additionally representing Australia as a member of the 2014 International Quiz Team. My passion lies around coaching and developing practices to engage riders, coaches and families with the Pony Club syllabus. I am lucky enough to be able to encourage this through being a member of the State Coaching Panel. My passion for teaching children and passing on knowledge extends beyond Pony Club to my full time job as an Educator Support Educator. Started falling off a loan pony at 4 years of age. Enjoyed some success in Junior Foxhunters (Show Jumping) and in Combined Training with University College London. Continued to ride regularly as an Army Officer and later more sporadically when undertaking various Human Resources and Management roles in the UK and Asia Pacific Region. Initially based in the Swan Valley where Denise taught her husband to ride (aged 50 on a 17hh OTTB – still married!) 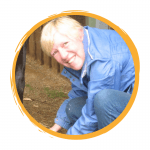 and 14 years ago a sea/tree change move to Denmark and part-time work allowed Denise to volunteer with the local Pony Club. Denise is NCAS L1 coach, C Examiner, Visiting Commissioner and WA’s representative on the PCA National Coaching Committee. She has 3 horses: a retiree and 2 rather rotund Galloways and enjoys riding for pleasure. I was introduced to horses before I could even walk and have been obsessed with them ever since. I joined West Plantagenet Pony Club as at early age as a rider and have progressed to Pony Club coach at the same club, in the heart of the Great Southern Region. I have fond memories of camping out with my pony at our annual riding schools. I have ridden and competed in many disciplines but main passion is coaching young riders. Last year I gained my NCAS Pony Club Coach Level 1 coaching qualification and am looking forward to undertaking my examiner training. I am excited to be part of the State Coaching Panel. 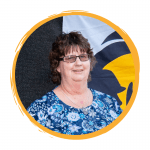 I have been involved in Pony Club for well over 15 years and have been lucky enough to be associated with Kalgoorlie District Pony Club, Avon Valley Pony Club/Zone, South Midlands Pony Club and Baldivis Pony Club. In that time I have gained my NCAS Pony Club Level 1 Coaching Accreditation, along Cert IV in Training and Assessing and Cert IV in Career Development. These have proved great resources for my passion of inspiring and mentoring pony club riders and coaches. 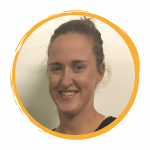 I am also a State C & K/C* Examiner, Coach Mentor and Assessor and currently I am serving on SCP as a NCAS Coach Coordinator. Judy has been a Pony Club member since she was a child when she belonged to the Enfield Chase Pony Club, (UK) and competed in the Prince Phillip Mounted Games right the way though to the finals at the Horse of the Year Show at the Empire Pool, Wembley. Due to not having a horsey family Judy was lucky to be involved with an active Yard, where she rode in many displays and competitions and lots of different ponies and horses. 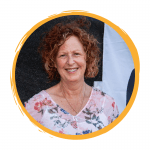 Judy went on to achieve the Pony Club A test, and trained for British Horse Society instructors Exams, traveled to the Middle East and West Indies coaching and working with horses. 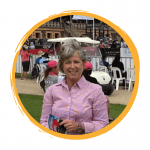 Judy has been part of the State Coaching Panel since 2004 and involved in Efficiency Certificate examining and training Pony Club Coaches. 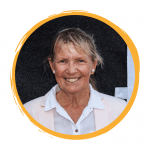 Judy has been a Coach for Pony Club WA at the last four National Championships and been on three International Pony Club Exchanges as Coach. 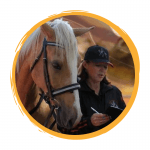 The Level 1 Coaching Webinar Series aims to assist coaches completing their NCAS Workbooks and gaining their Pony Club Coaching Accreditation. Cost: Total cost of all 4 sessions is $50 per person. Enrol: Download our Level 1 Coaching Webinar (May 2019) Nomination Form. Please email your completed Nomination Form to coaching@ponyclubwa.asn.au before 29th April 2019. For further information please Contact the State Coaching Panel via email at coaching@ponyclubwa.asn.au. Have you been participating in our Preliminary Coaching Webinars? Do you coach at Pony Club Rallies? Have you thought about becoming an accredited Coach? Join the Pony Club WA State Coaching Panel for their upcoming PC NCAS Preliminary Coaching Assessment Day held in conjunction with the NCAS Preliminary Coaching School. To register, download the nomination form/s below, complete and return via email to coaching@ponyclubwa.asn.au. Held in conjunction with the NCAS Preliminary Coaching School. Download your PC NCAS Preliminary Coaching Assessment Day Nomination Form Here! Pony Club WA Associate Riding Members already accepted for funding FREE! There are limited opportunities for all other Associates therefore this will be a case of first in first served. Download your NCAS Preliminary Coaching School Nomination Form Here! The State government through the Department of Local Government, Sport and Cultural Industries and Lotterywest is a major supporter of Pony Club WA in Western Australia. Sport and recreation builds stronger, healthier, happier and safer communities. Senior First Aid Certificate is not required but does carry points when updating your accreditation. Level 1 Mounted Games Specialist – coaches must have Preliminary pony Club Coach qualification and complete Modules 1,2, Module 3 (3.1 to 3.5 only) of Level 1. Level 2 is currently under consideration (subject to funding) for development. Register your interest in NCAS Preliminary or Level 1 Coach or Gear Checking Training. All clubs affiliated with Pony Club WA run certificate examinations throughout the year. All examinations require a suitable examiner, examiners appointments differ for every certificate, please see below for the requirements for each certificate. Hold a current PCANCAS Level 1 Accreditation or be approved by the State Coaching Panel as a specialist in their area of expertise. The Pony Club WA Gear Checking Advisory Panel (GCAP) is responsible for the production and review of the gear checking rules for Pony Club WA. All rules and recommendation produced by GCAP are approved by the Pony Club WA State Coaching Panel before being ratified by the Pony Club WA Board of Directors. GCAP are also responsible for the training and accreditation of Gear Checking Officials throughout Pony Club WA. 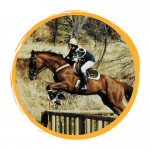 The aim of GCAP is to ensure the Safety of the Rider and Comfort of the Horse in all Pony Club WA Activities and competitions. recommended to provide a penciller to support the Gear Checker/s also. The Pony Club WA Gear Checking manual can be found on the Gear Checking Manual page along with all exemption forms . Gear Checking Accreditation enables the standardization of the quality and consistency of gear checking throughout out Pony Club WA. It promotes the safety and comfort of the horse and rider and encourages a high standard of presentation at events. Accreditation also allows Gear Checkers to be confident in their role and transfer gear checking knowledge and requirements to all members all all levels. Be actively involved in Pony Club Activities at club, zone or state level. Hours can be back dated 12 months prior to your accreditation application. Recognition of Prior Learning can be used to reduce the training process. All RPL requests must be submitted to GCAP using the Record of Gear Checking Form along with a letter outlining your request. For accreditation requirements, refer to the Part 2 link below. All Sports Committees are responsible for the encouragement, training and accreditation of their officials. where reasonably practical, intervene in time to prevent any abuse of the horse. Pony Club WA have a standard payment procedure. Please use the below forms. Active Riding has two types of officials – Line Stewards and Event Stewards. Line stewards are voluntary and often trained on site at events. Event Stewards are accredited by the Active Riding Committee and oversee events to ensure they are run according to the rules and procedures. As of 2017 All sports must have a Technical Expert present at their State Championships. For the sport of Active Riding, any Pony Club WA Accredited Active Riding Steward is qualified to represent the sport as the Technical Expert at the championships. For more information on the qualification requirements for technical Experts, please see the current Pony Club WA Active Riding Rules. As of 2017 All sports must have a Technical Expert present at their State Championships. Dressage will have a Chief Steward representing the riders and the sport. For the sport of Dressage, an EA or Pony Club WA Accredited Dressage Officials is qualified to represent the sport as the Chief Steward at the championships. For more information on the qualifications of the Technical Expert, please see the current Pony Club WA Dressage Rules. The sport of eventing has two type of accredited officials. For the sport of Eventing, any Pony Club WA Accredited Technical Delegate is qualified to represent the sport as the Technical Expert at the championships. To ensure events are conducted in accordance with the Rules. To provide appropriate help and guidance. 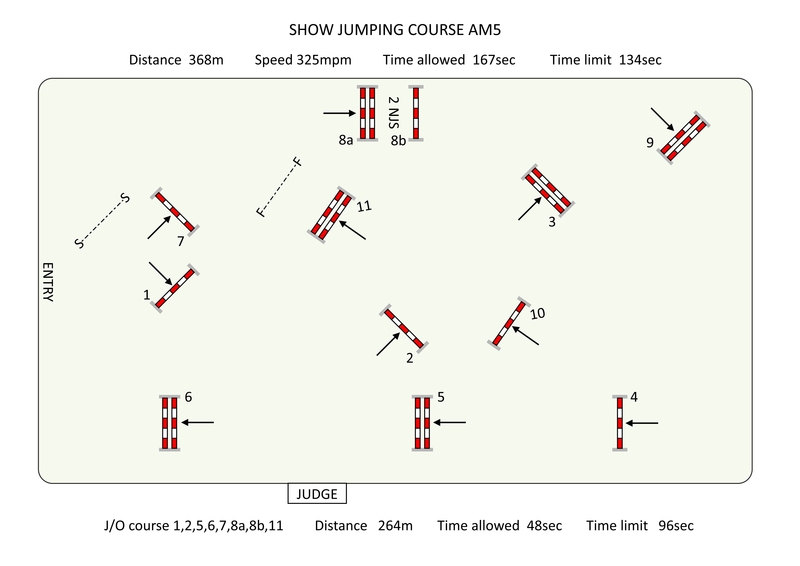 To inspect and approve the cross-country, jumping courses and dressage arenas before they are shown to the riders. To authorise appropriate alterations being made if, in their opinion, these courses are not in all respects within the limits laid down in the Rules or are unsuitable for the classes of horses expected to take part. For the sport of Eventing, any Pony Club WA Accredited Judge/Course Designer with minimum 5 years experience is qualified to represent the sport as the Technical Expert at the championships. For more information on the qualifications of the Technical Expert, see the current Pony Club WA Showjumping Rules. For the sport of Tetrathlon, the Technical Expert shall be appointed by the State Tetrathlon Committee.